Here at Spike’s Trophies, we know there’s nothing like the thrill of a player speeding down the pitch, exhibiting exquisite touch on the ball as he moves around defenders on a breakaway. Nothing quite like the roar of the crowd when a crossing pass is met with a goal-scoring shot. In case you haven’t heard, it’s championship season in soccer and this year, tens of millions of fans will be watching their team compete for gold. 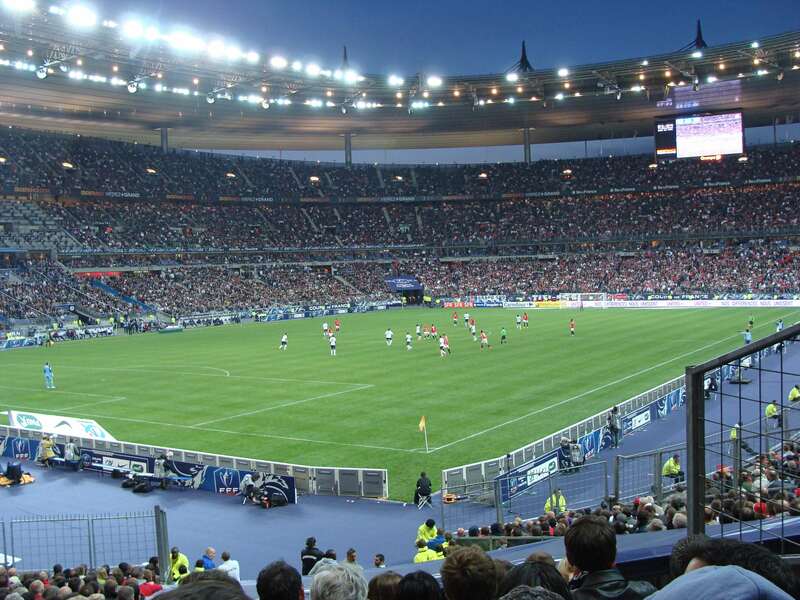 Known colloquially as The Euros, The Union of European Football Association Championship is the one of the largest international soccer championships, second only to the FIFA World Cup (two years away). 55 teams compete to qualify for the 24-team tournament. The teams face off throughout June and early July. 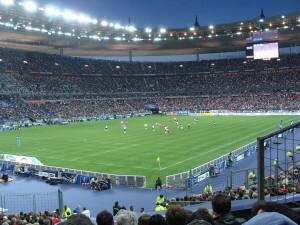 The UEFA Euro Championship started in 1960 and have been held every four years since then. In 1927, the French Football Federation secretary, Henri Delaunay proposed the concept of a Europe-wide soccer competition where each nation’s best players would compete for their home team. In 1955 Henri Delaunay passed before seeing his dream come true, but in 1960 The Soviet Union won his memorial trophy in the first championship. The Henri Delaunay Trophy was created by Henri’s son, Pierre two years before the first official tournament. The trophy was redesigned after almost 50 years for the 2008 tournament. The current iteration is made entirely of sterling silver, it weighs 18 lbs and stands 24 inches tall. The trophy is fashioned in a Greco-Roman style similar to a vase and has two braided handles on the side. The winner of the championship holds the trophy for four years until the next tournament and has their country’s name engraved on the back. The first, second and third place winners of the tournament also receive gold, silver and bronze medals respectively. 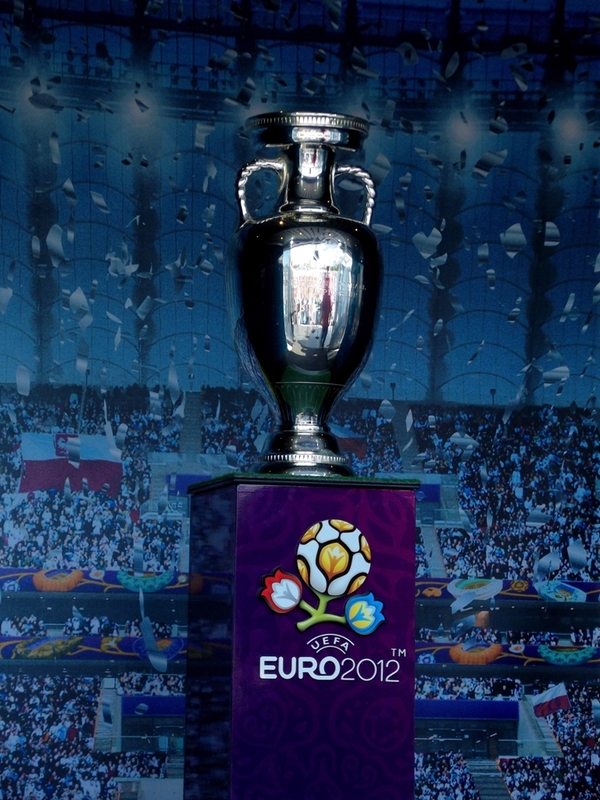 This summer, 24 European national soccer teams will compete to be crowned the greatest. The final game of the tournament will take place Sunday, July 10th. At Spike’s Trophies, we love watching a good tournament. If you’ve got a championship coming up, consider taking a look at our crystal awards in Philadelphia, New Jersey and Delaware; While you’re there, take a look at some of our customizable items like personalized name badges or spirit wear. This entry was posted in Uncategorized on June 22, 2016 by Spike's Trophies. Here at Spike’s Trophies, we know there’s nothing like a baseline rally between two titans. Nothing like the ball coming off of a racquet at near one-hundred miles per hour. Nothing like a lunging volley that results in winning a match, we think it’s exhilarating to watch a competition in one of the western world’s oldest sports. A short flight across the pond will land you on the grass of tennis’ most hallowed courts. Wimbledon, located in London, England is the most famous single event in all of tennis. Legends of the sport have played there for over a century, many raising The Challenge Cup above their heads in victory. The likes of Bjorn Borg, John McEnroe, Pete Sampras, Andre Agassi, Pete Sampras, Roger Federer and hundreds before them have competed for a chance to hold the cup in all the glory of tennis’ biggest stage. 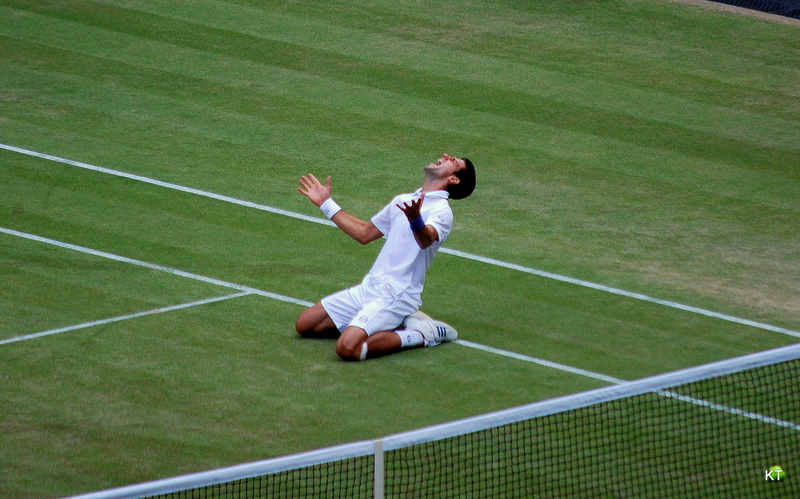 Since 1883, men have competed to be the champion of the Wimbledon tournament. Since 1888 The Challenge Cup has been presented to the winner. Wimbledon, one of the four Grand Slam tournaments is different from all other major tennis tournaments for one very important reason– It’s played on grass. Tennis courts are typically either hard surfaces or sometimes, clay. Grass is a much different surface, easily eroded by the player and affecting the bounce of the ball much differently. Partially due to the novelty of the venue and partially due to the fabled history of the tournament, it’s estimated that Wimbledon attracts nearly half of a million global visitors during the competition. 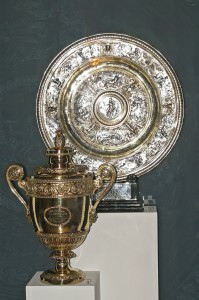 The Challenge Cup stands eighteen inches high and is almost eight inches in diameter at its widest point. It’s made of silver gilt and is inscribed with the phrase “The All England Lawn Tennis Club Single Handed Champion of the World.” Winners of the cup aren’t allowed to take it home and only hold the trophy for a few minutes. They are instead given a three-quarter-size replica to keep. At Spike’s Trophies, we celebrate the things worth celebrating. Whether it’s the greatest championship in tennis or just the office softball championship. Whether it’s Wimbledon’s Challenge Cup or an intramural sport trophy for your team in Delaware. So if you need a custom trophy for your New Jersey Sport’s team or a sport trophy for your team in Delaware, you can count on us. This entry was posted in Uncategorized on June 6, 2016 by Spike's Trophies.